Madge saying what a great man Jack Ramsay was. Phil saying Jack Ramsay was a liar and a cheat. Hannah changing the street sign to ‘Robinson Street'. Phil defending Hannah to Madge and Harold about the street sign being changed. Jacinta and Lance trading insults with each other and Susan telling them to stop. 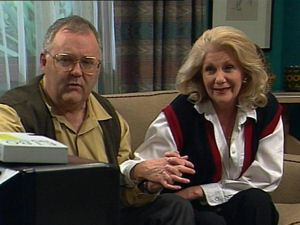 Jacinta and Mitch photocopying a different version of the Newsletter and saying Lance won't be teachers pet any more. Susan exploding at Lance and Amy for the changes made to the Newsletter and threatening them with suspension. Lance and Amy are questioning how the mistake could have happened. Lance says someone, somehow must have changed the masters. Susan comes in wanting answers. First off Lance tells her Amy wasn't responsible as final decisions rested at him. They both tell Susan the original masters weren't as the one copied. Susan wants to know then who changed them, but they don't know. Susan doesn't believe him, so Lance has to take responsibility and the punishment – a one-week suspension. 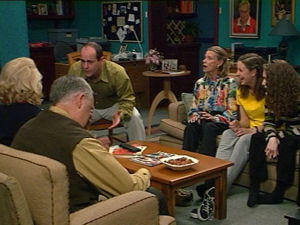 Lance and Amy come in talking to Toadie about his suspension and how Lance needs to clear his name. They come to the conclusion from talking to Cara, that Jacinta is involved. 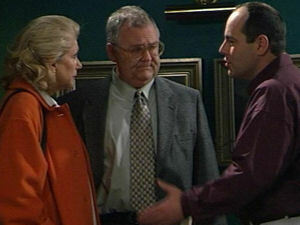 Amy and Lance are confronting Jacinta. She is denying any involvement. Lance becomes physical towards her but Susan intervenes and reminds Lance he shouldn't be in school as he is suspended. 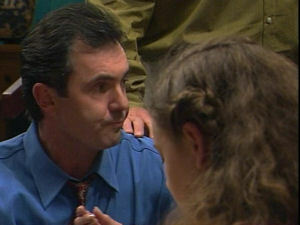 He is trying to plead his case to Susan that Jacinta is involved. Susan invites them into a classroom so they can discover the truth. 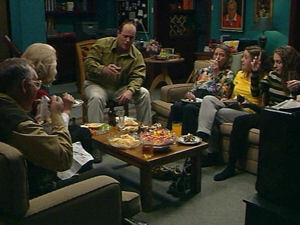 Harold and Madge (on one sofa), Phil in the middle and Helen, Hannah and Debbie (on the other one) are still arguing about Jack Ramsay. Helen tells them to be quiet so they can watch the “some old video”. Turns out it's Scott and Charlene's wedding video. They all start reminiscing about it and the past. Jacinta is still denying her involvement despite Lance's protestations. Since he hasn't got any real proof, Susan tells him to go home and serve his suspension. Lance is now moaning to Amy while clearing his locker out about how Jacinta has got off with it. He is dreading telling Ruth. 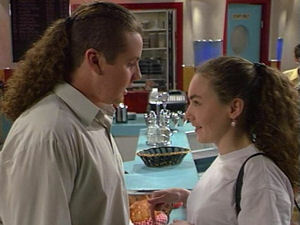 Lance tries to get Amy to trick Jacinta into telling her the truth, but Amy says she won't tell her. They're still watching the wedding video and reminiscing about the past. Hannah tells Helen how nice it is to have her home, which she agrees with. Ruth is going berserk at Lance for being suspended. He's pleading his case (again) but Ruth wants to know then who did it, but he's not ready to say at this stage. Jacinta, Cara and Mitch are discussing her confrontation with Lance when Amy comes in wanting to talk Jacinta in private. Once away from the others, Amy pleads with her to own up or to say who did it. Jacinta retaliates saying Amy should be sticking up for her best friend, not Lance. Amy now pleads for Lance but Jacinta tells her that she's broken the group up with her relationship with Lance. Jacinta tells her to break up with Lance and come back to her friends, her real friends. During this talk, Toadie is a very interested spectator. Susan is telling Karl about the incident at school. She feels guilty if he is innocent, but without evidence she can't do anything. Karl's solution to the problem isn't helping and Susan tells him he'd never last five minutes in a school but he gives three reasons why he would – he's tolerant and patient, understanding towards young people and doesn't over-react to situations. Susan thanks him for cheering her up. Hannah suggests watching the video again, for the third time. Helen is feeling tired and snuggles down next to Hannah, closing her eyes. 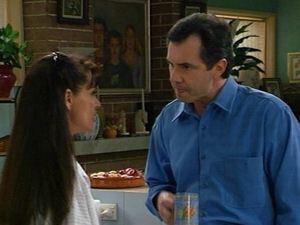 Amy is telling Lance about Jacinta's ultimatum – Lance or the group. Amy chooses to stay with Lance. Toadie comes up with a plan for Lance to clear his name. The plan calls for Amy to pretend she's broken up with Lance so she can become part of the group again and find out the truth. They rehearse their break up fight. Ruth comes in thinking it's for real, but they tell her their plan, but Ruth all they do is confuse Ruth. Cara comes in to tell Mitch and Jacinta about Amy's break up fight with Lance. They rush to the door to watch. The plan has worked; Amy is back in the group with the other's none the wiser. The video has finished and everyone is “wedding'd out.” Hannah tells them to keep the noise down as Helen is sleeping. Debbie and Madge go to make some coffee and Phil asks Hannah how she's doing. She is glad Helen is home, and Phil agrees with her. The tape having rewound, is played yet again. Amy is grovelling to the group, subtly putting their plan to work. Madge and Harold are getting ready to leave thanking Phil for a lovely evening. Helen is still sleeping so Madge tells Phil she'll see her tomorrow. As they leave Karl comes in to check on Helen. They say she's sleeping, when Hannah realises she isn't sleeping. Karl confirms Helen has died. Hannah thought something happened earlier, but she didn't know what to do and thought Helen wouldn't want a fuss made anyway. 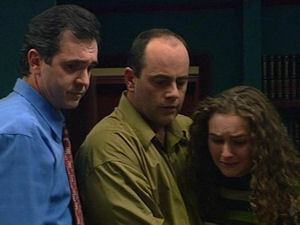 The realisation that Helen has died hits them all and Debbie and Hannah begin to cry. Karl says it was peaceful; she just dropped off to sleep. 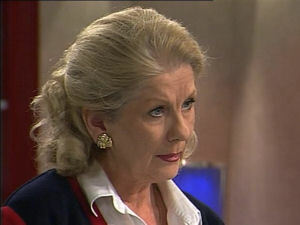 The usual sung theme tune is replaced by a piano version and pictures of Helen over the years are shown instead of the usual credits.